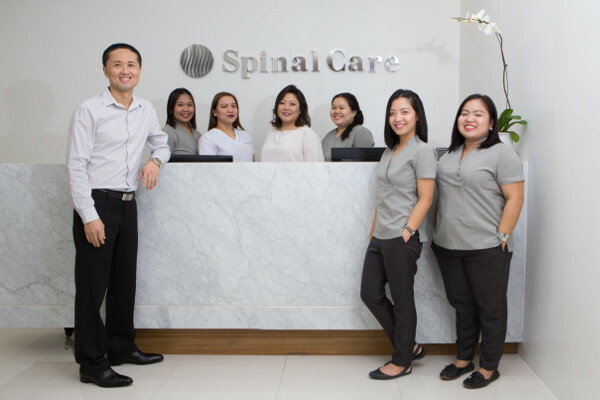 Spinal Care Chiropractic was opened by Dr. Daniel Su in February 2013. Originally from Taiwan, Dr. Su completed his Bachelor of Chiropractic Science and Master of Chiropractic at Macquarie University in Sydney. He began practicing in the Philippines to share this safe and highly effective form of healthcare. We’ll help you regain your health by thoroughly analyzing your condition. Then, you’ll receive precise Chiropractic adjustments to relieve any pain you’re experiencing, along with exercises to stabilize and strengthen your body. Dr. Su will advise you about nutrition, supplements and ergonomics to bring a holistic approach to your healthcare, boosting your overall well-being. Once your symptoms of discomfort have been relieved, you can choose regular Chiropractic care that will protect your future health and wellness. Studies show a 50% decrease in the need for painkillers during delivery, attributed to pre-delivery Chiropractic adjustments. Studies on Chiropractic patients demonstrate that first-time moms have an average of 24% shorter labor, while experienced moms have an average of 39% reduction in labor time. Don’t wait until problems happen — start Chiropractic early to stay healthy in the future. Book your time today! Saturday visits are available.